As a prime seaside destination, Danang is one of Vietnam’s most celebrated destinations for visitors. Located near a world-class golf course and alongside a private beach, Premier Village provides a setting of exceptional quality. These commitment to excellence is especially evident in our dining options – some of the very best restaurants Danang has to offer. Diners can make the most their stay in this great city by choosing from a wonderful selection of international dishes, local delicacies, and fresh seafood. With plenty of specialties to choose from, Premier Village is able to cater splendidly to all different tastebuds. 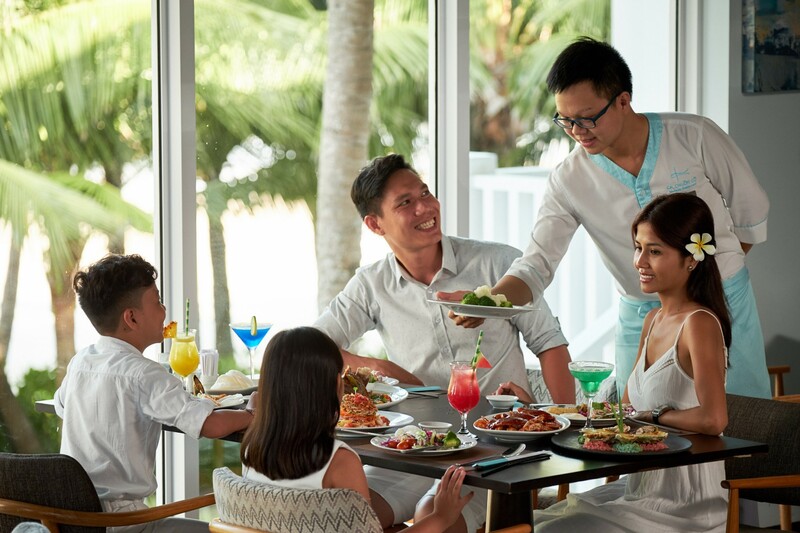 A culinary journey awaits guests, as our restaurants serve up traditional Vietnamese flavors along with a selection of international cuisine the whole family can enjoy. The excellent dining choices at the Premier Village Resort Danang include all-day dining options at Lemongrass, the dedicated seafood restaurant Ca Chuon Co, and the Nautica Beach Club. Located poolside, Lemongrass guests will be treated to authentic Vietnamese recipes as well as international cuisine options, each one prepared with fresh ingredients sourced from the local market. Ca Chuon Co takes advantage of our beautiful seaside location to offer the freshest seafood in the country. With a live seafood aquarium and a grilled seafood display, dining here is a uniquely elegant experience. Stunning panoramic views, a lovely swimming pool, and a fully stocked pool bar make the Nautica club perfect for a leisurely afternoon in the Vietnamese sunshine. While our services are maintained at the highest level, our aim is to encourage a relaxing experience for all diners, and therefore our restaurants each have a casual dress code. Private dining rooms are available for special events or business meetings. With locations near the beach, at the poolside, and alongside stunning panoramic views, our selection of restaurants make for the perfect accompaniment to a fun-filled day in Danang.